On thousands of sacred canvases throughout Christendom Mary the mother of Jesus Christ is the emblem of beauty and purity. It is her face that Christ had most resembled; she was after all His mother, and He in all things her son. Mary stands apart from all women in history and she has been the personification of all that is fine and noble in womanhood. The admiration of her is timeless and no woman in history has been so honored and revered. She has been the inspiration of some histories most magnificent art, literature, and music. Some of the names of praise, such as “Mother of Mercy,” “Mother Most Blessed,” “Mother Most Pure,” “Spiritual Vessel,” have been bestowed upon her. Although her greatness had humble beginnings as a peasant girl from Nazareth she never traveled any farther than from Palestine to Egypt, though her story has spread to the ends of the earth. What a journey that must have been from Nazareth through Jerusalem. She may have knelt sorrowfully to pray in Gethsemane, turning aside to look on that city from Calvary. And though Mary suffered as much as any woman, her suffering changed to joy at her son’s resurrection. Today, as in the time of Jesus’ birth, Mary is the embodiment of one of the greatest miracles of the Bible, the Virgin Birth. Because of this she is unique in the history of women, as is her son, who brought salvation to mankind. “Behold, a virgin shall conceive, and bear a son, and shalt call his name Immanuel” (Matthew 1: 14). 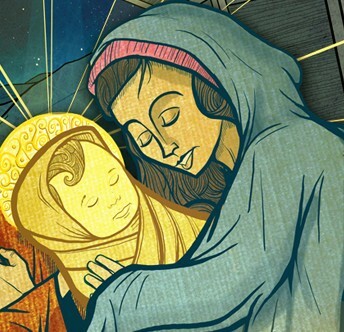 Every woman that has given birth to a child can imagine that Mary, as her child was born was uplifted by her faith in God, that the she was overjoyed as she held Him for the first time. Though beautiful as the mother was, she brought forth a child with an indescribable radiance in His face. Mary’s divine calling of being the mother of the only begotten Son of God never faltered from the manger to the cross on Calvary. I do not think we can easily overestimate the measure of Mary’s faith. If this is the greatest work ever produced by the power and the grace of the Almighty God among the children of men, and if Mary’s faith entered into it at all, then how great her faith must have been!